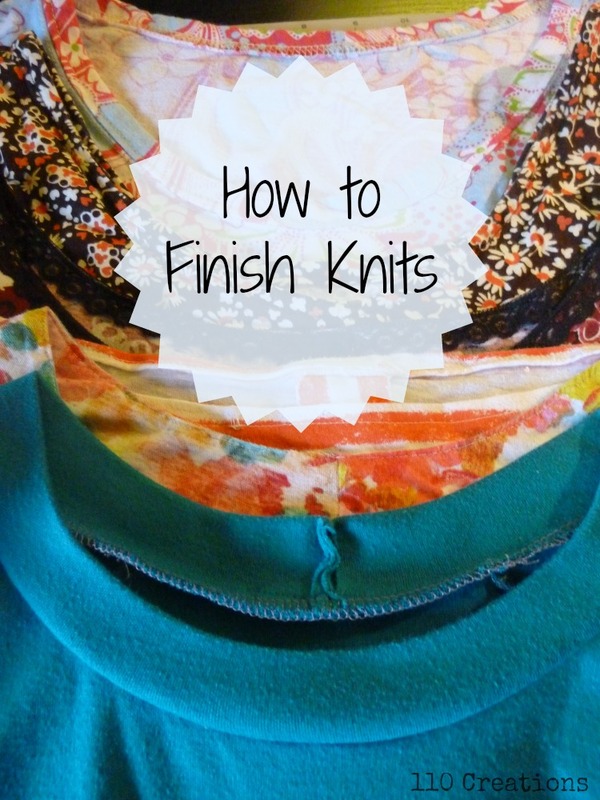 Welcome back to my weekly series on knit finishes! Today's finish is one of my recent favorites. Applying a band is great and all, but sometimes you want something more substantial. A knit binding does take longer to sew, but I think the results are worth it! A knit binding is appropriate for a neckline, or for the armhole of a sleeveless garment. Some patterns may be drafted for this approach (the Coastal Breeze dress by Make It Perfect patterns comes to mind) but it's not that common. You may need to adjust your seam allowances if you want to swap out a different technique for this one. Much like applying bias tape on a woven garment, knit binding wraps around the seam allowances and encloses them. You CAN sew it exactly like the traditional double-fold bias tape, but that can create a lot of bulk with knits. 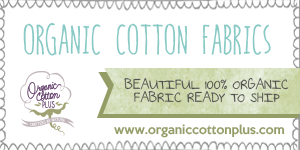 I prefer a different way that produces less bulk, and requires no stitching in the ditch-yay! You're guaranteed to catch the back every time. Let's get to it! First, deal with your seam allowances. 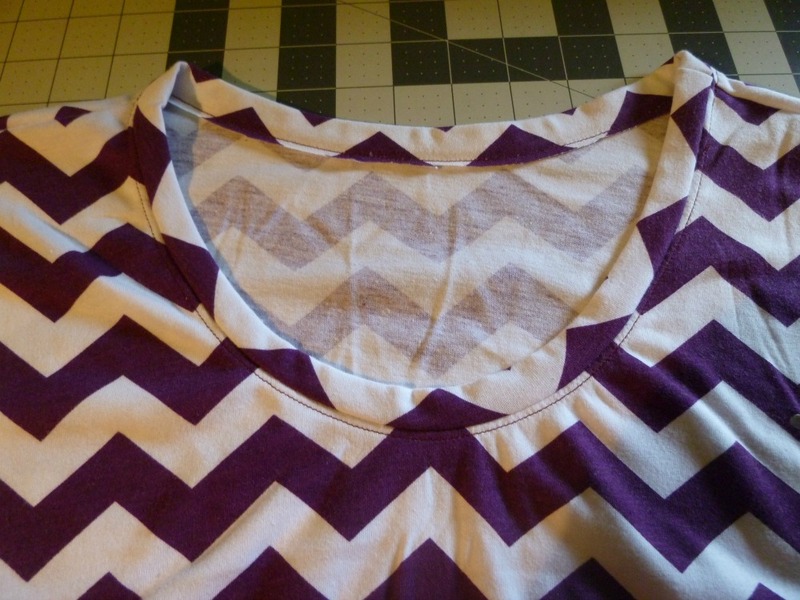 Decide how wide you want your finished binding to be, and where you want your neckline to be. For simplicity's sake, let's say you want your binding to be 1/2" and your seam allowance around the neckline is 1/2" already. 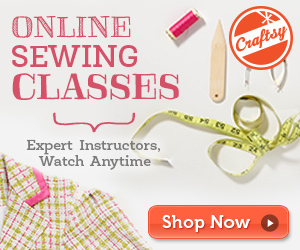 Unlike other methods, your seam allowance is not going to disappear. To say it another way, your final neckline will be where the cut edge is (in this example). If you wanted your neckline to be lower, you would need to trim the seam allowance accordingly. 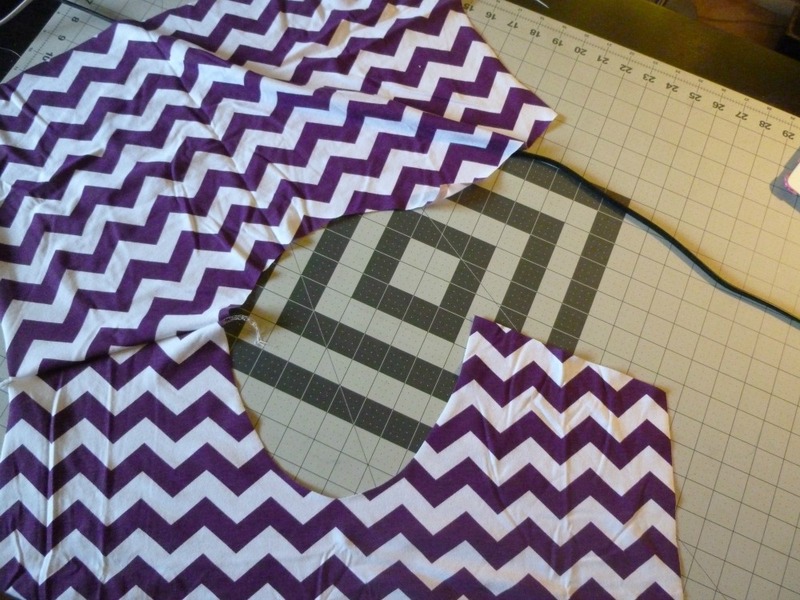 If your pattern gives you dimensions for the binding, then cut it out with the stretch going with the long side. With this method, only one long raw edge needs to be straight. You can be a little loosey-goosey with the edge that will eventually be on the inside of the garment. 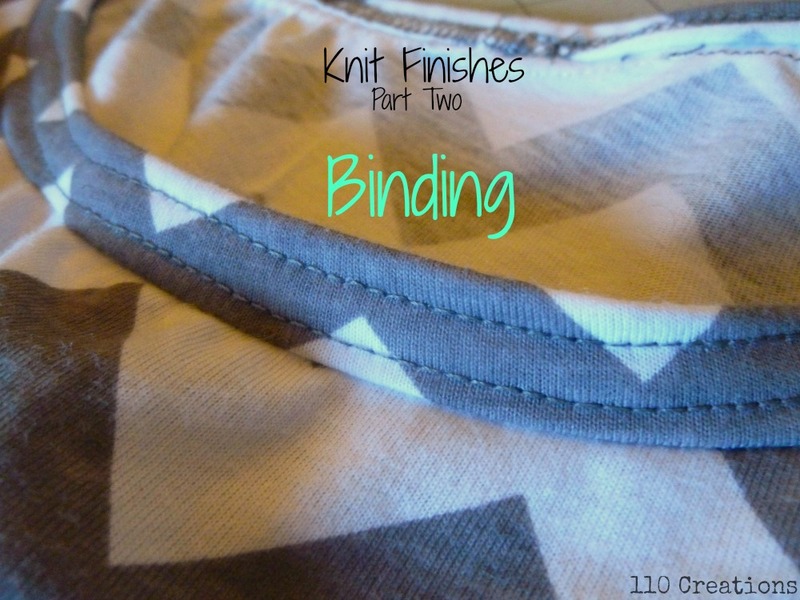 Binding on armhole of bodysuit. 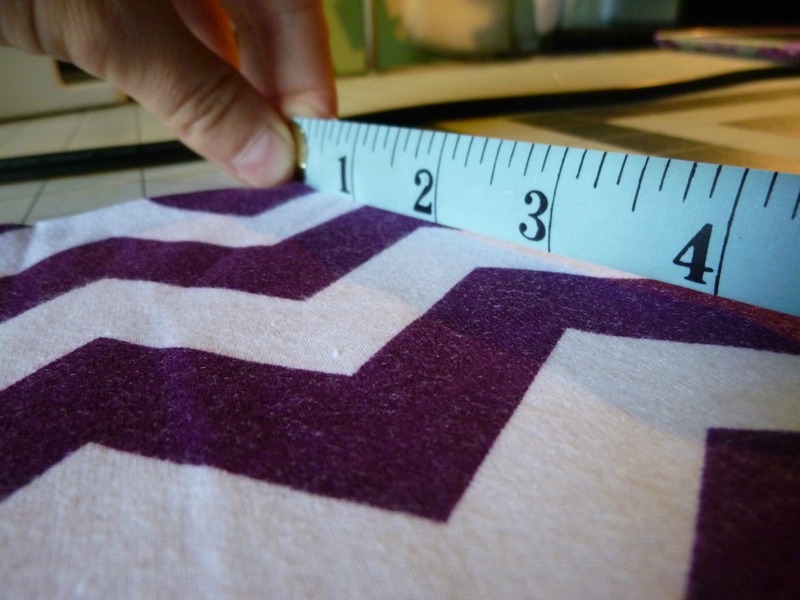 You may not have the dimensions you need for the binding if your pattern does not call for it. For example, the sleeveless bodysuit that I recently made for my daughter originally called for sleeves. I determined the size of the binding on my own. Note: if at all possible, when determining your own binding, construct your garment "in the flat" (see this post for an explanation). That way you don't have to be too exact. To find the length you need, turn a measuring tape on its side and measure along the seamline (not the cut line) of your opening. If constructing in the flat, round up your measurement to the nearest inch to give yourself some wiggle room. 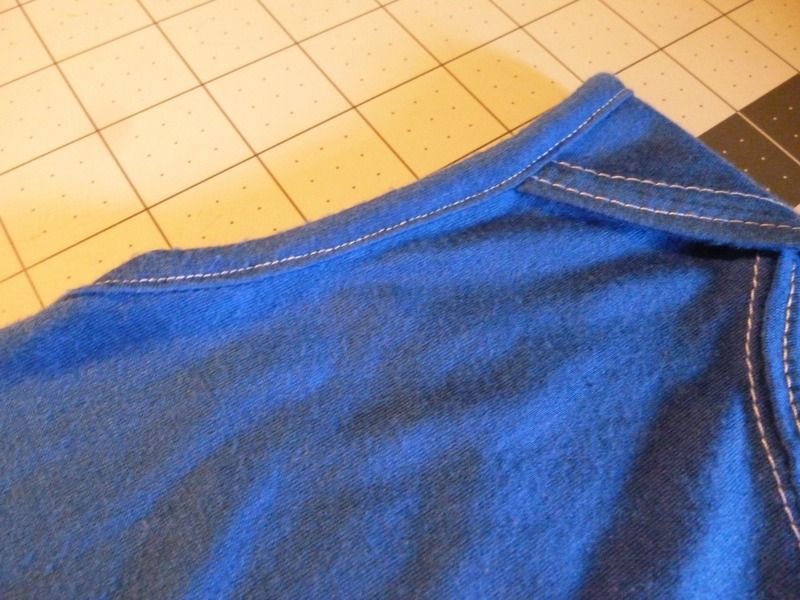 If constructing in the round, round DOWN your measurement to the nearest inch, then add two seam allowances, since you'll be sewing it into a loop before sewing it to the garment. To determine the width, let's return to our original example. The seam allowance is 1/2". 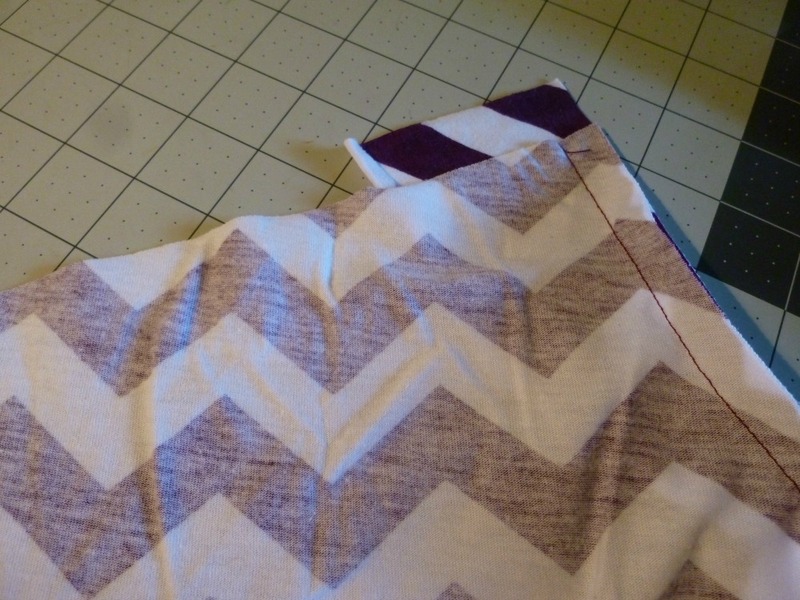 You'll be folding the binding back around the seam allowance, so add another 1/2". 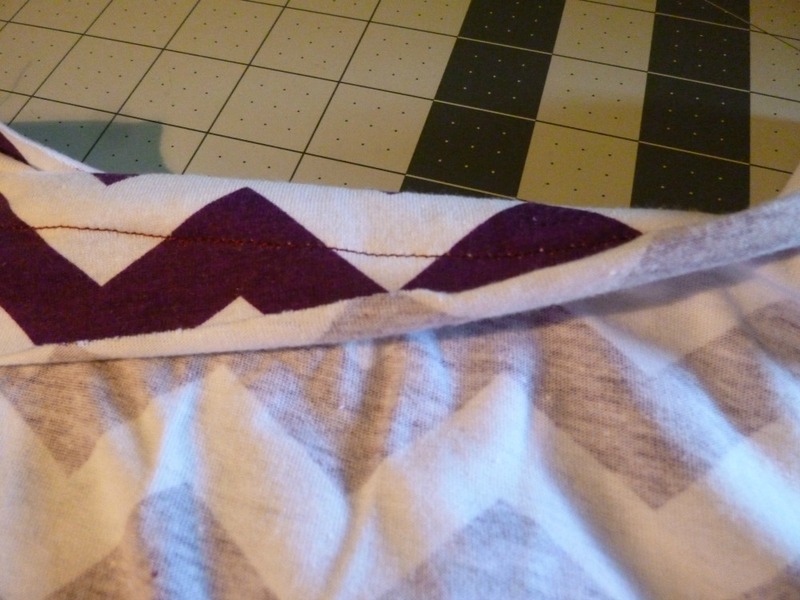 The binding then wraps to the back, so add another 1/2". To give yourself some wiggle room, add another 1/2". That puts it at a width of 2", or 4 seam allowances. Some of this will be trimmed away at the end. You can see that one of my long edges is very straight, and one is a little wonky. The wonky edge will be trimmed away so it doesn't matter that it's wonky. I'm all about speed and not wasting time on unimportant details. Knits curl, and the less time I have to agonize over unrolling an edge to see if it's straight--the better! Assemble your garment so that it has one open seam. In this example, I'm using a bodice with one shoulder seam open. 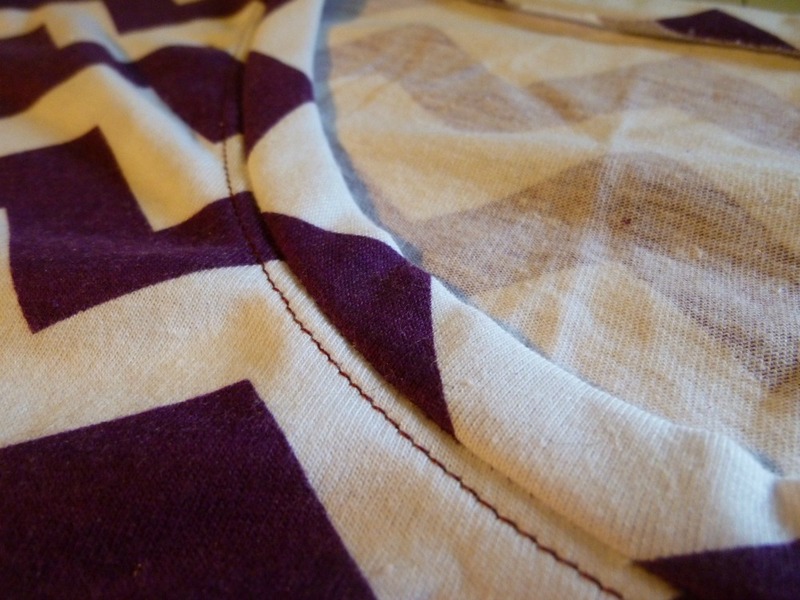 You can apply the same method to an armhole with the side seam open. To construct in the round, sew your opening closed and also sew your binding closed into complete circles. Right sides together, place the binding on top of the garment, raw edges aligned. 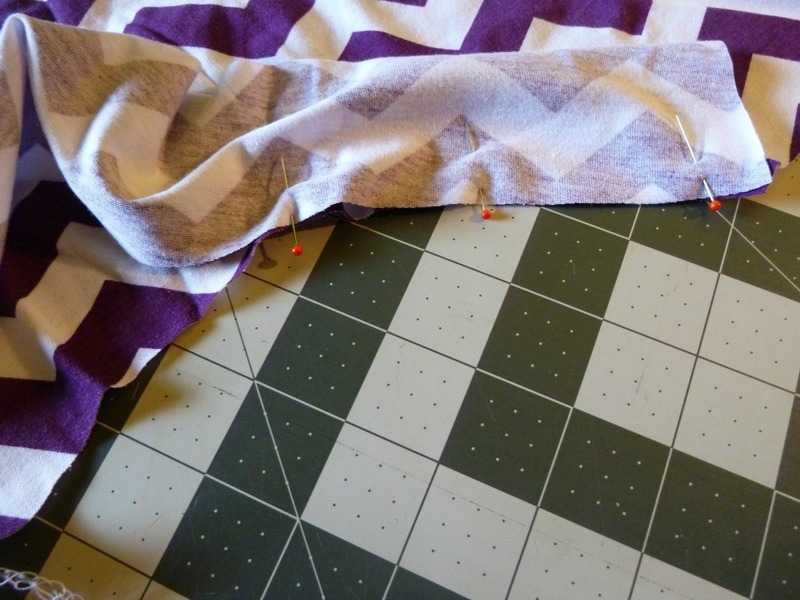 Pin the binding around the edge until you reach the other end (for in the flat). If sewing in the round, distribute the binding evenly. You will naturally stretch the binding a little as you go, to make the straight edge match the curve. 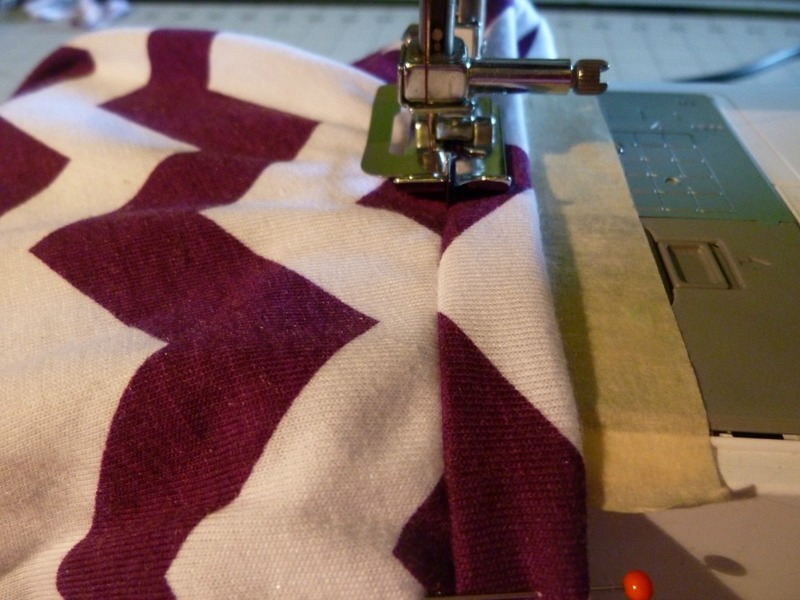 You want the binding to roll in just a tad, but you don't want ripples in the garment itself. 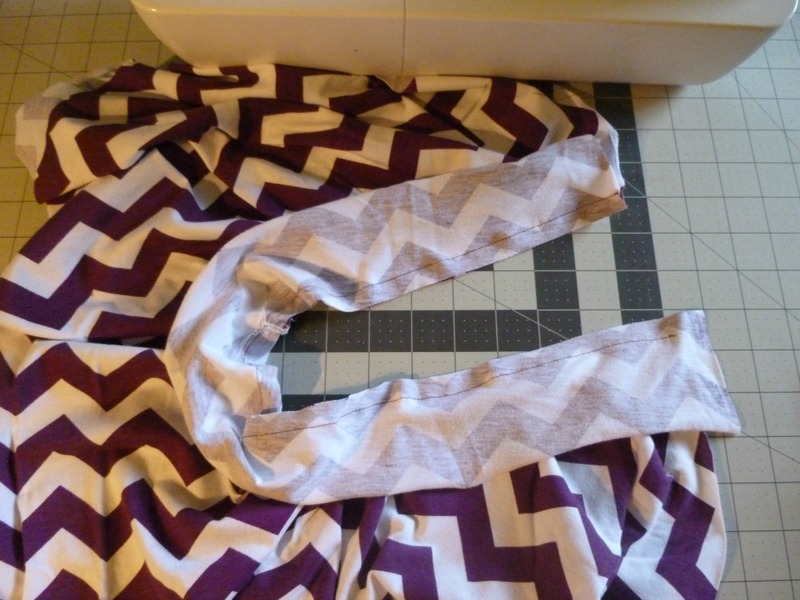 Using your regular sewing machine (do NOT serge) sew the two pieces together. 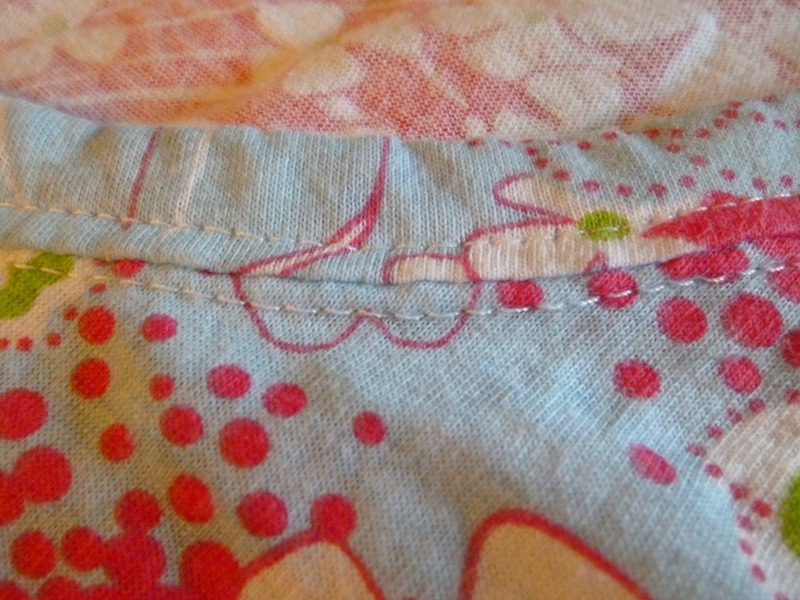 In my sample, I'm using the 1/2" seam allowance previously discussed. Trim the excess binding that hangs off at the open seam. Do NOT trim the seam allowances. Next, press the binding up, with the seam allowances. 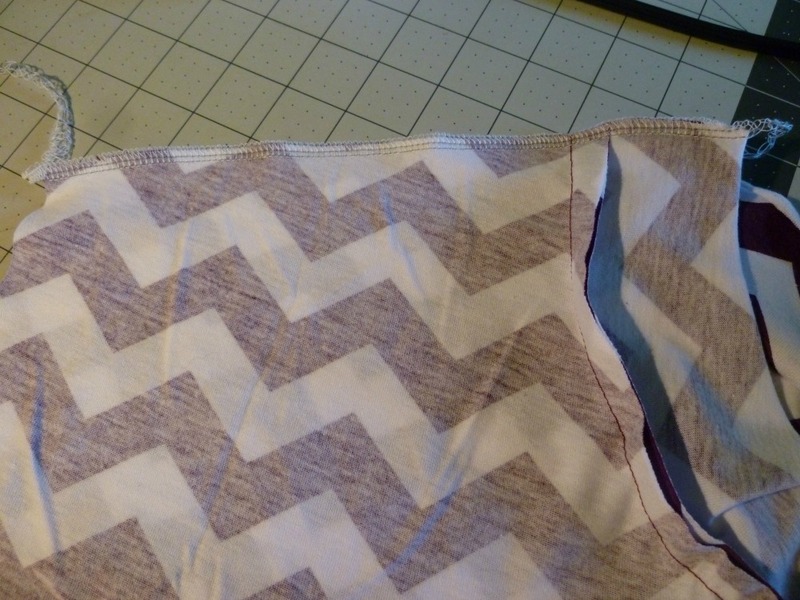 Close the open seam (you can use your serger if you have one), making sure that your seam allowances are sewn facing up towards the opening. 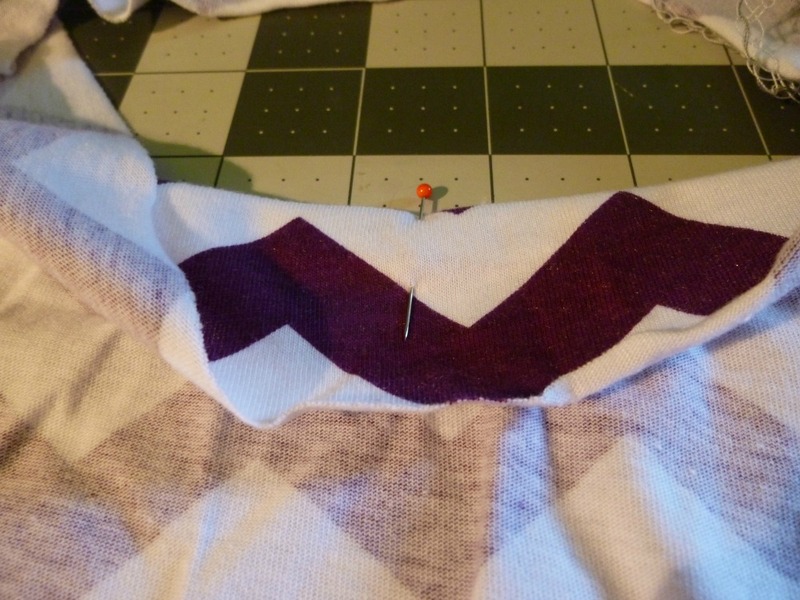 If you're using a lightweight or drapey knit, the next part can take some patience. 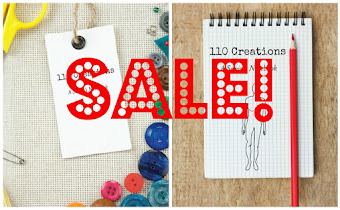 Use lots of pins and I promise it will be worth it! Wrap the binding around the seam allowances, to the wrong side. Try to prevent the seam allowances from rolling, you want them to be flat (inside your binding) so that your binding is a consistent size. Use your fingers to feel that everything is flat. Once you have all your pins in place, visually examine the binding from the front to make sure the depth is even all the way around. You may want to press it again (I use glass-head pins, which don't melt). Now we will topstitch the binding in place. There are a few options. I like to use the wide two-needle setup on my coverstitch machine, which lets me topstitch the binding and the garment at the same time, or just the binding. You could do the same thing with a twin needle. 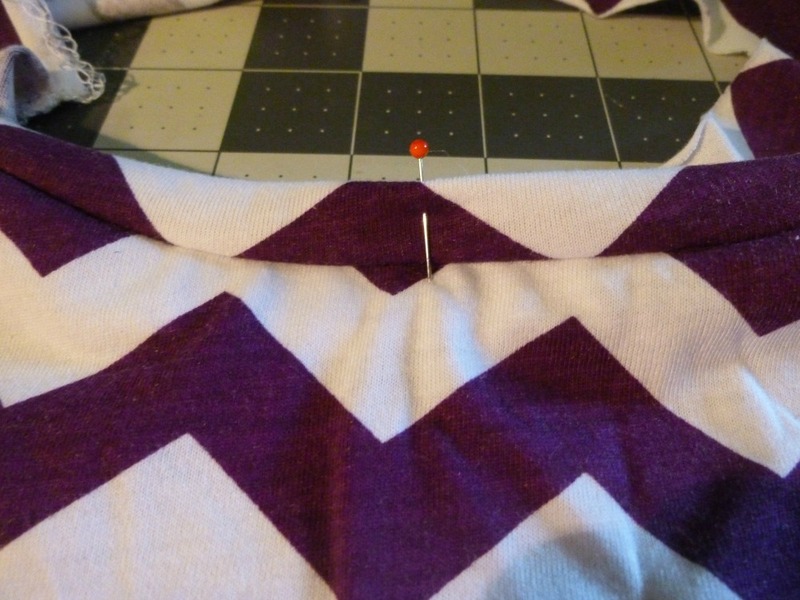 Otherwise, you'll need to sew one or two rows of stitching, either just below the binding or just at the edge. Since you cut the binding extra long on the wrong side, you should easily be able to catch the back no matter what method you use. Topstitching on the garment, using my blind hem foot as a guide. The topstitching catches the back of the binding. When you're done with your topstitching, carefully trim away the excess binding on the inside of the garment. Knits don't fray, so you don't need to do anything to this cut edge. Hooray! Then give it all a good press. 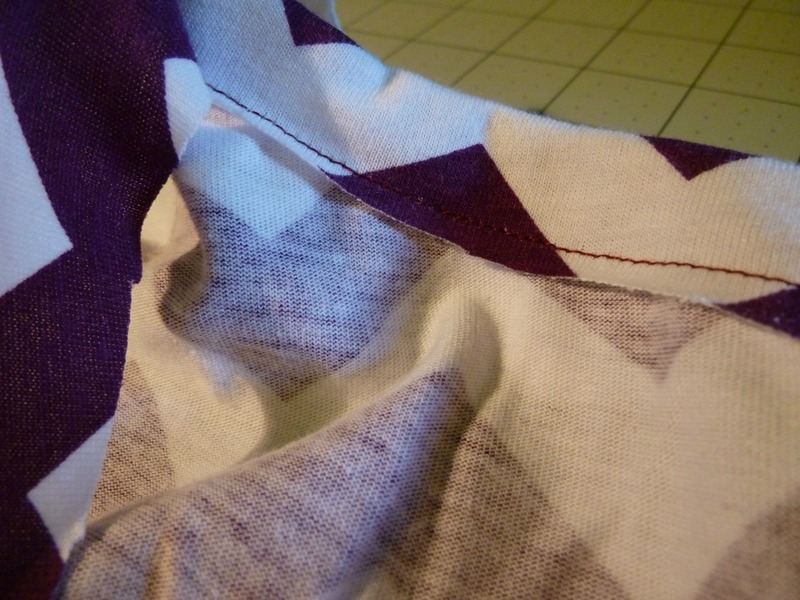 In my example, I sewed only one line of topstitching, on the garment. This neck opening is large enough that I don't need it to stretch to fit over my head, so I used a slightly longer straight stitch. 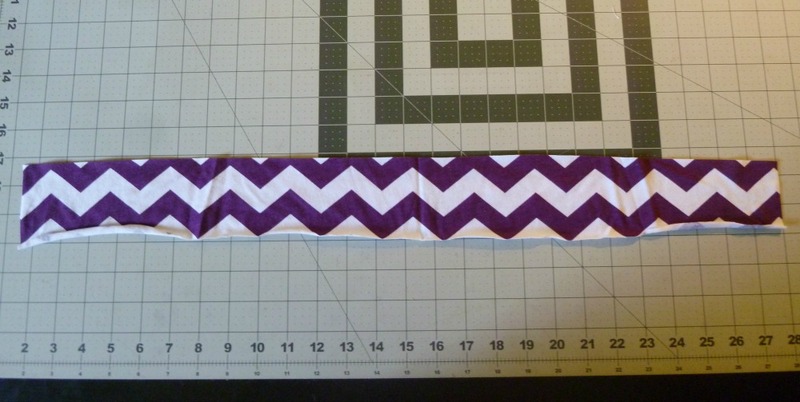 I easily could have sewn a second line just above it, on the binding itself. Or one line on the binding, only. Or used my coverstitch. There is no right or wrong way, you're the designer so you decide! 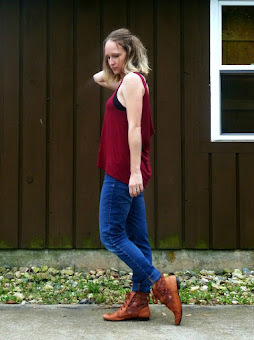 Next week: the narrow hem!